RBTH's guide to the music makers you need to know. One of the leaders of the new Moscow generation of composers. The founder of the Structural Resistance (StRes) group of composers, the first informal professional association in post-Soviet Russia, which made new music known not only to a narrow circle of specialists but to the general public too. Graduated from the Moscow Conservatoire. Was guest of the Berliner Kuenstlerprogramm 2008 (DAAD Artist-in-residence). After winning international competitions (Gaudeamus, 2003, Johann Joseph Fux, 2011), became one of Russia’s most renowned living composers, whose music is performed internationally by famous ensembles that include the Paris-based Intercontemporain. Many of Kurlyandsky’s compositions were commissioned and first performed in Europe, including the opera “Asteroid 62” (staged in 2013 in Graz by director Barbara Bayer). Currently Kurlyandsky is the artistic director of the International Academy of Young Composers in the town of Tchaikovsky in Perm region and is the musical director of the Stanislavsky Electrotheater in Moscow. Another leading figure on the Moscow music scene and co-author of the manifesto of the Structural Resistance (StRes) group of composers. A connoisseur of old and new music, a historian and educator. Studied in Moscow, Dresden and Berlin. A winner of the composition competition in Stuttgart (2006) and of the Russian national theater award, the Golden Mask (2014), for the opera “Francis” staged at the Bolshoi Theater. Nevsky is a regular participant in international festivals, including Berliner Festwohen, Maerzmusik, Gaudeamus and the Wien Modern. His music is performed by Klangforum Wien and Ensemble Modern as well as by orchestras headed by Vladimir Jurowski and Teodor Currentzis. He leads a creative laboratory at the Meyerhold Center in Moscow, writes music for theater productions by director Kirill Serebrennikov, as well as symphonies and operas. One of his most high-profile European premiers was the opera “Autland” (performed at Ruhrtriennale) whose lyrics were written by autistic children and which looks at issues of communication between people. A representative of the St Petersburg school of composers. A conceptualist composer with a brilliant academic education, a music critic and promoter of new European music in Russia. Winner of several international awards, including IRCAM Reading Panel (1997, Paris) and Irino Prize (2003, Tokyo). Filanovsky’s music is performed by legendary European ensembles, including Louis Andriessen’s Orkest De Volharding as well as Integrales and Da Capo Chamber Players. Founder and leader of St Petersburg’s first ensemble of contemporary music (eNsemble). In his compositions, often uses texts by famous conceptualist authors Vladimir Sorokin and Lev Rubinstein. A composer, a follower of American post-minimalism on the Russian scene, also a pianist with a Tchaikovsky Competition prize to his credit. Does not have a formal education in musical composition. Performed in the Philip Glass Ensemble; was the first to perform many post-avant-garde compositions in Russia. 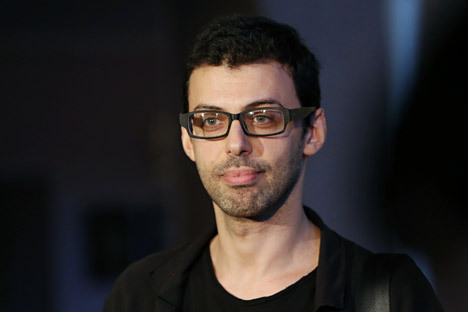 Batagov’s works have been performed in Russia and the USA by the Philip Glass Ensemble at concerts and festivals, including the Diaghilev Festival in Perm and the Bang On a Can festival in New York. Batagov is opposed to complexity in new music and to dividing it into low and high genres. His compositions are equally influenced by rock music and by the academic tradition, from Bach to Rachmaninoff to Grieg. One of the most unpredictable composers on the Moscow music scene, he does not belong to any school or movement. Author of operas, symphonies, cantatas, oratories, vocal cycles, church music, music for theater and cinema. A musician, a singer, a multi-instrumentalist, a member of ensembles of old and contemporary music. His opera “Gvidon”, based on the works of Daniil Kharms, has been on the repertoire of the School of Drama Arts theater in Moscow for several seasons, while the opera “Four Quartets” has toured in the USA. Manotskov’s latest major premier, the opera “Titus the Irreproachable”, has become a theater sensation of 2015 and has been nominated for the independent critics’ award of the Moscow association of music critics.